Upholding the Americana tradition of seeing movies in an “old fashioned way” with modern updates, the West Wind Capitol Drive-In theater has been delighting families for decades. In fact, it has become an experience that generations continue to enjoy as parents that have brought their children are returning with grandchildren now. The West Wind opened its first drive in theater in 1952. The family also owns and operates drive ins in six different cities - Glendale Arizona, Concord, Sacramento, and Santa Barbara California, and Reno, and Las Vegas Nevada - making this the largest drive in theater chain in the world. They were also one of the first drive in theater chains to fully embrace the new digital technology, allowing a piece of American history to continue anew in a more modern world. The main attraction at the West Wind Drive In, besides the beauty of the facility itself, is bringing the family to see movies, which are offered in state of the art digital presentation on enormous, easy to see screens. When visiting the drive-in, the way to hear the audio of the movies is by using the FM radio already located in the car. Guests will turn their key to the “accessory” mode to keep the stereo going without draining too much of the battery. For guests without cars with FM radios, it is recommended that they bring their own battery powered boombox to tune in. There are no pets allowed at the drive-in theater, however, exceptions are made for guests with medical conditions that require service dogs. All service dog owners must present official paperwork. Tickets are sold at the box office on-site on a first come, first serve basis (cash, Visa, and Mastercard are all allowed). It is strongly recommended that visitors get to the drive in as early as possible to allow for a good view of the screen. It also gives guests, especially those with children, to visit the snack bar and playground before the movie starts. There is also an arcade on the premises that guests of all ages can visit either before the show or during intermission. Admission includes a double feature, but guests can choose to watch either the first, the second, or both. There is a fifteen-minute intermission between movies as well, to allow for guests to either leave the grounds or to get additional snack items. Be aware that guests are not able to switch screens between movies, however. The majority of movies offered at West Wind are first run movies. 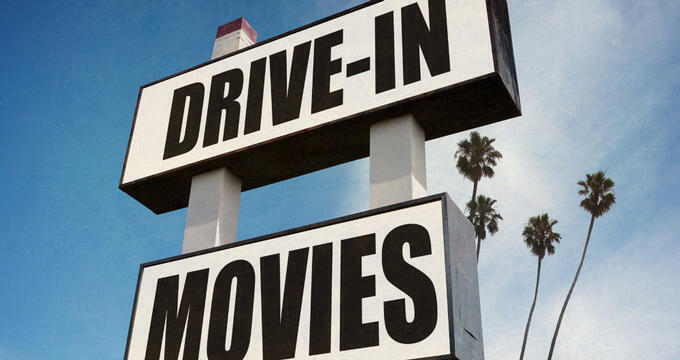 The drive in will also occasionally host midnight premieres to allow visitors the earliest opportunity to see some of the most anticipated movies of the year. Upcoming movies are updated on the theater’s website on a weekly basis, as well as showing what movies will be available for the remainder of the year. The speed limit while visiting the drive in is 3 MPH in order to keep the grounds as safe as possible for the many people (including children) who walk around after dark. Larger cars, SUVs, and RVs are allowed but must park at the very back of the drive-in field so that they don’t block the view of other guests. Although there aren’t any specific birthday packages available, the staff at the West Wind Capitol love to work with each individual group to create a very special event for birthdays celebrated at the drive-in theater. Contact the theater’s management to discuss more details. In addition, proposals of many different types have been made at the theater (prom, marriage, etc). The staff requires at least two weeks advance notice for planning, and there is a separate fee required. Information can be accessed on the West Wind’s website. Throughout the year, the drive in offers various special events. One of the more popular are the Customer Appreciation Nights, hosted a few times a year and providing free admission. The movies offered are recently run movies, generally the most popular of the last few months. There are also a variety of both local and nationally touring musical acts that play at the drive in, as well as swap meets, holiday themed events (like haunted houses and Christmas movies). There is a snack bar located at the West Wind, providing guests with a variety of different drink and food options. Choose from Dr. Pepper and Pepsi products, popcorn, Nathan’s hot dogs, and freshly made pizza or just pick up a candy bar. There are also a few merchandise items for sale, like t-shirts and bumper stickers.